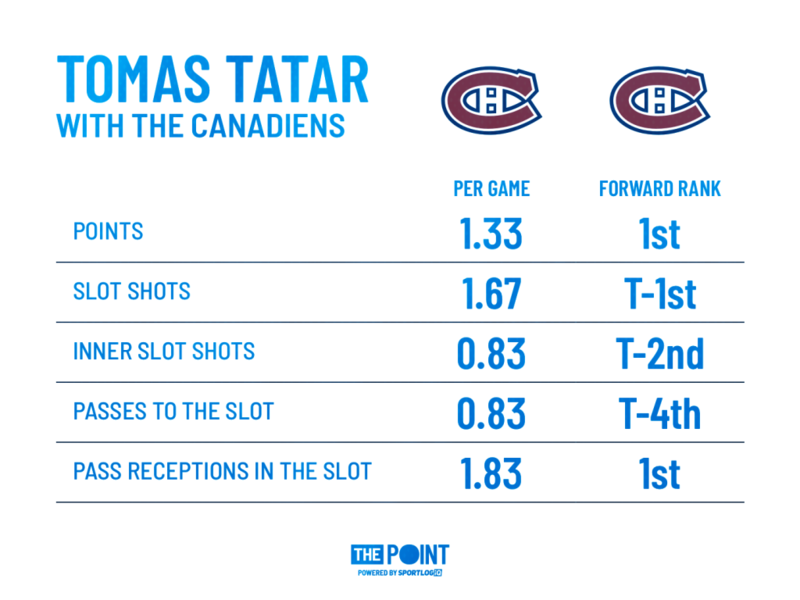 Tomas Tatar proving his value in montreal - The Point Data-driven hockey storytelling that gets right to the point. The Montreal Canadiens are off to a hot start with a 4-1-1 record despite missing their best defenseman in Shea Weber and posting abysmal special teams numbers. Entering the season, there were plenty of questions surrounding the Habs offense and who would be scoring after Montreal traded away 2 of its top-3 goal scorers over the last 5 seasons. 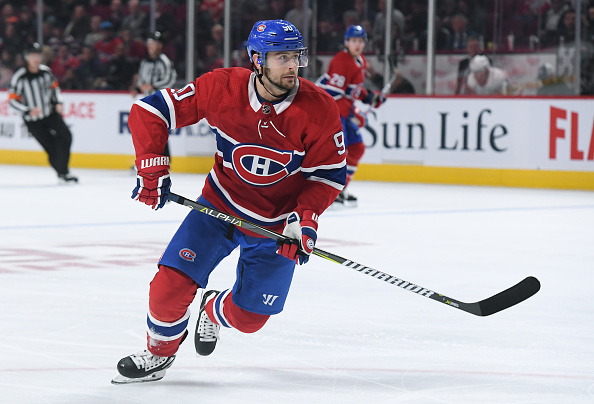 Tomas Tatar, one of the returns in their off-season moves has quickly shown that he was more than a throw-in piece in the trade that sent Max Pacioretty to the Vegas Golden Knights. Originally, the trade was focused around the Habs acquiring prospect Nick Suzuki but Tatar is showing that he has plenty of value to add. Coming off a season where he was traded to Vegas at the trade deadline, Tatar was looking like a player in need of a bigger role. A consistent half a point per game player for his entire career, he was playing at just below that number in Detroit but saw his production plummet in Vegas. What’s perplexing about Tatar’s decrease in production is that he was still averaging similar production in many offensive categories. He was averaging 0.42 shots per game from the inner slot in Detroit and in Vegas that only dropped to 0.40. He continued averaging the same number of controlled entries and was only generating slightly less scoring chances. Not only that, he was actually more successful in Vegas at passing the puck to the slot and receiving passes in the slot. 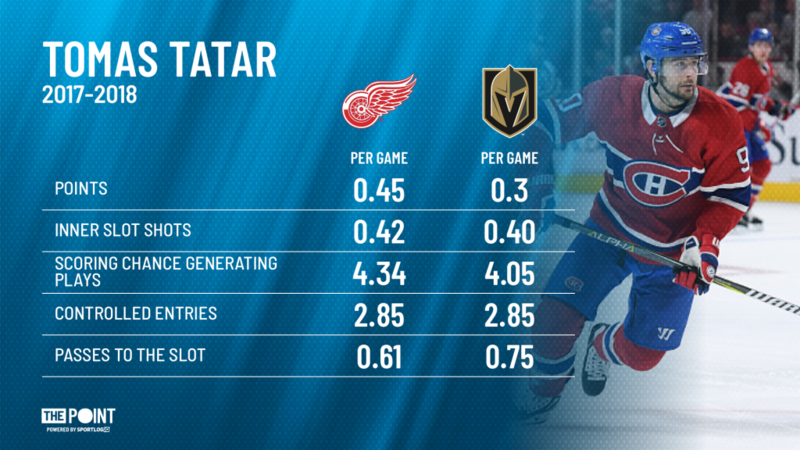 Essentially, Tatar’s production didn’t look great in Vegas where he only scored 6 points in 20 games but his underlying numbers remained consistent. What we are seeing now is the pendulum swinging the other way as Tatar has put up 8 points in 6 games. A hot streak, yes, however, playing on a line with Brendan Gallagher and Phillip Danault, they’ve found instant chemistry getting pucks to the slot and working their opponent into the ice. Tatar has been one of the most involved players on the Canadiens in front of the net. Playing on a line with Gallagher you should expect there to be plenty of time spent in the slot meaning that if they continue to create this many scoring chances then it’s fair to expect Tatar to achieve new career highs this year. At the very least, early signs seem to point to a 20 goal, 50 point type season. In the meantime, Habs fans should enjoy his exciting play and hope the wins keep on coming!